Nothing says cozy like a sherpa coat. This is probably the easiest and warmest coat I've ever made. I may live in Georgia but we often head to Utah and Colorado where we're from so I know this will come in handy at some point. 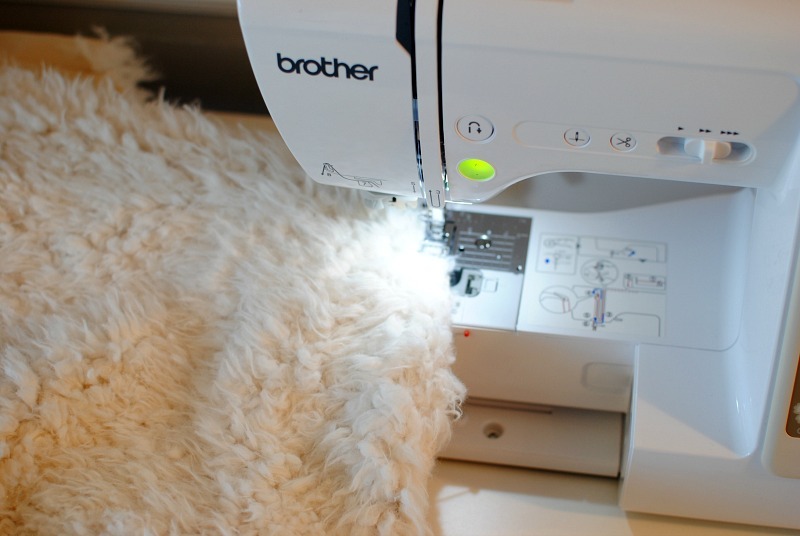 I love the Bonded Llama Cuddle in ivory from Shannon Fabrics for this project. It's high quality and ultra soft for the ultimate plush coat. 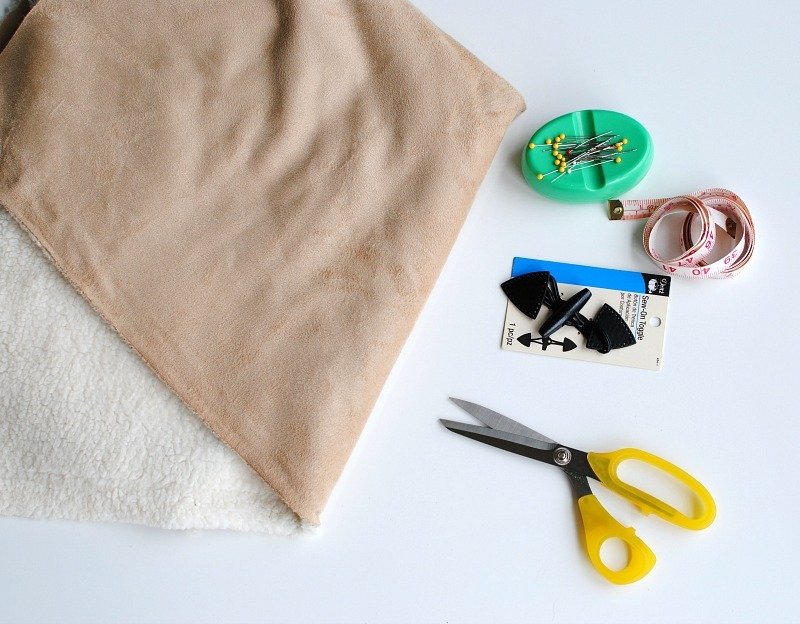 Add a couple of Dritz Sew-On Toggles for easy closures to complete the look. 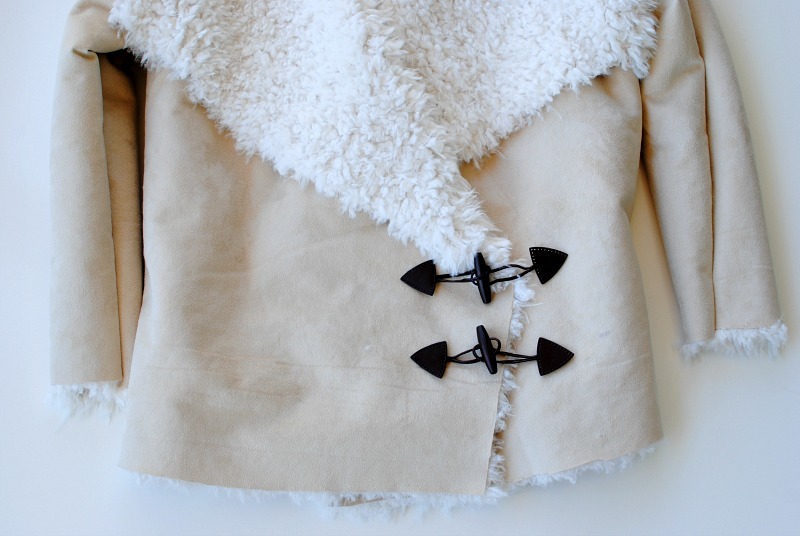 Get the details below on how to make your own Sherpa Coat. 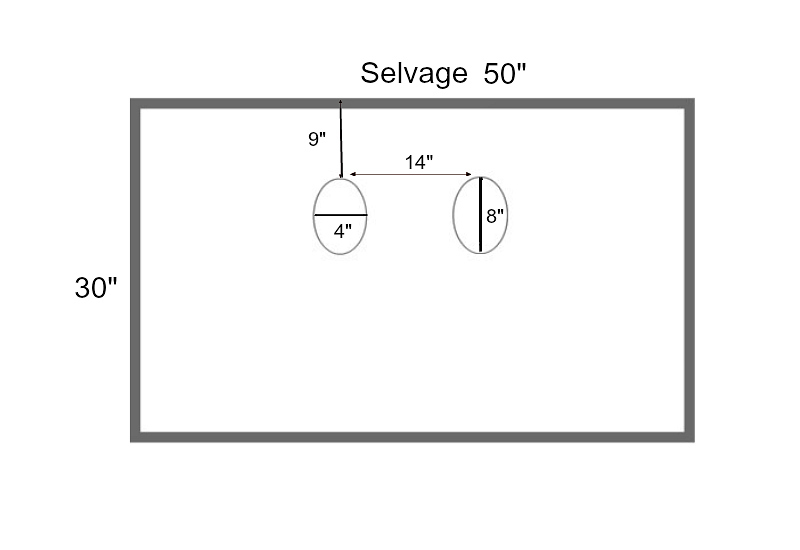 Refer to the diagram above. You will start with a rectangle of fabric. Mine measured 30"x 50". the 30" will be the length of your jacket from shoulder to just above the knee. Find the center (25") and from there create arm holes. The arm holes were basically oval shapes that measured 8" tall and 4" wide. They were spread apart by 14" apart and 9" down from the top. You will want to measure your shoulder to shoulder and + 2" for this portion. Try it on and you will see you have a perfect no sew vest already. If you want to add sleeves draft a sleeve pattern like I did here. These patterns are very similar. First sew the side seam of your sleeve up and pin your sleeve into your armhole making sure it fits. Then sew the sleeve into the arm hole. When sewing just push the plush fabric over and sew with at least 1/4" seam allowance. For closures I used Dritz Sew-On Toggles. 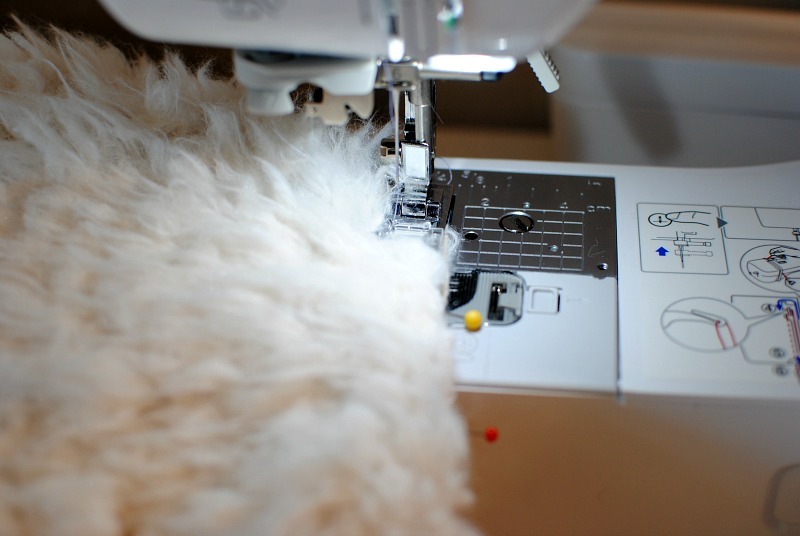 You will want to pin or baste them on to make sure the fit and placement is right, then sew them into place. I didn't finish the edges because I liked the look of the raw edges on the sherpa. You may want to clean up the cutting and make sure it's straight. If you prefer a finished edge try a bias tape to sew around the edges. I folded the bottom of the sleeves up for a fluffy cuff. That's it! A simple sherpa coat that will keep you warm in the coldest of weather. I even wear this around like a house robe while sewing it's so cozy. This is so pretty! The toggles give it such a great look. I also love the raw edges. What a simple pattern for such a stunning result. Where I live (southern Canada) this would be a fall coat, except we hardly have a fall any more. I could definitely wear it indoors, though. I moved into an old house and it is drafty! Wow! 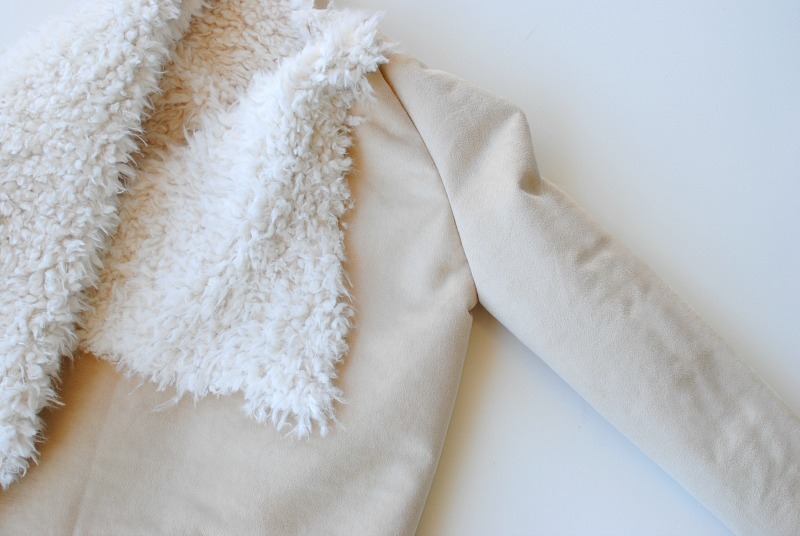 This sherpa coat is beautiful. That's it! 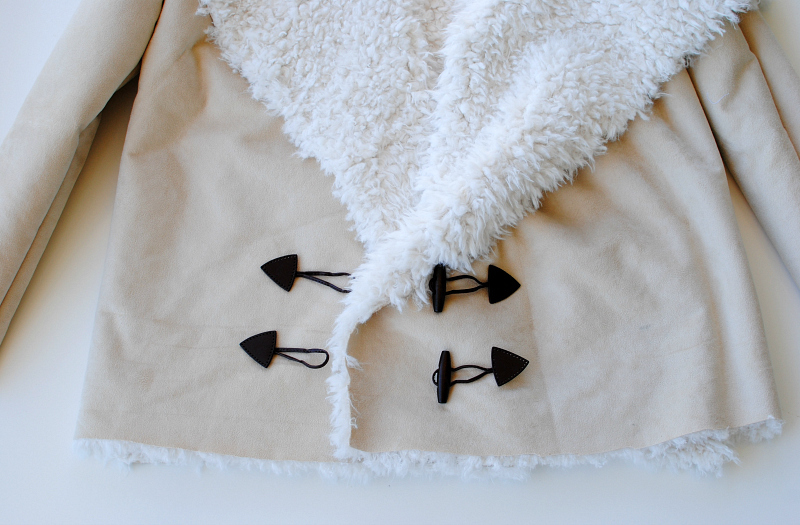 A simple sherpa coat that will keep you warm in the coldest of weather. So beautiful! That colour combo is really elegant. It’s really awesome. I love it. Your coat is very beautiful. I like this jacket very much.